Have you ever stared at your computer, waiting for the words to start appearing on the screen? You have an idea of what you want to do and, to top it off, it’s like your fingers and brain have decided not to cooperate. Today we’re going to discuss bringing your blog to life. 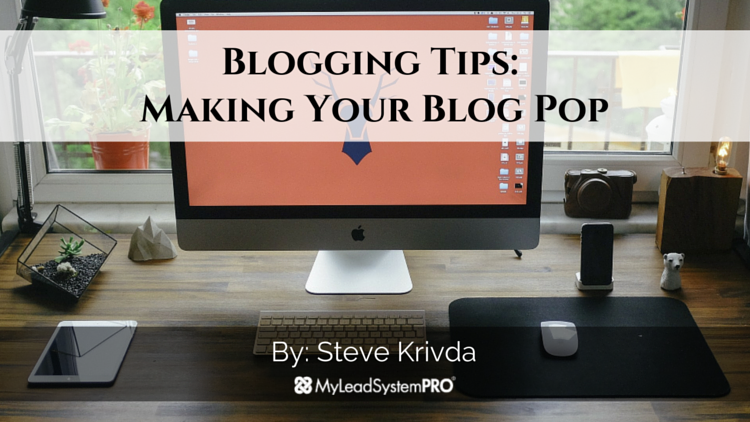 By following these simple blogging tips your audience will keep growing and stay engaged. This post is going to be incredibly simple to follow and implement. You jot down a quick note so you don’t forget this genius idea, then you sit down to put out your next masterpiece and nothing. I don’t think there is a post out there that doesn’t solve something for someone. Next, ask the question that causes the pain that your topic will solve. And let the reader know that what they are dealing with is normal and you have the answer. They are saying “Yes” and “Thank You” before they even get 1/3 through your post. Finally, solve the issue you created with the process that leads to your topic. There are some pretty amazing webinars, happening regularly, with some great new marketing strategies. I can make a good assumption that you are taking notes throughout these trainings so you can implement, as well as create, content. “Invest, Learn, Teach” is very popular, and it should be. Keep in mind however, there may be hundreds of people on the same training you’re on with 40-50 of those people writing content. There have been days that I have received several blog posts that are almost identical. If you’re going to be writing about the same topic as everyone else, do some deeper research and take Your Post to the next level. You are You and You’re Perfect. There are lots of us that are looking to know everything, have our blogs perfect and have the best opt-in to ever grace the Earth before we unveil our Online Home to the World. Being perfect is not what’s going to attract people to you. What’s going to attract people to you is Your Value. Remember this when you’re writing, people want to know you…the real you. You’re perfect just the way you are so, be that person. Speak like you speak and let the real, authentic you come out when you write. Your value isn’t just in your words…Your value is you. I bet when you opened this post and saw blogging tips to make your blog pop, you expected diamond and gold to fly out the screen. The reality here is this…there are a lot of people that are blogging today. The ones that will stand above write because they care about making an impact on others. Follow these blogging tips and you’ll do that too. 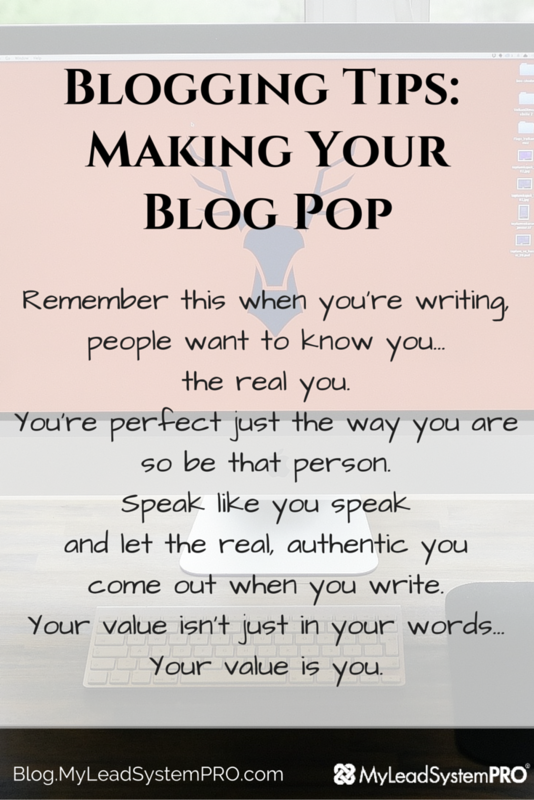 Blogging Tips – Making Your Blog POP! Hello Steven and many thanks for such a helpful post. I think all of us at some stage face the challenge of what should I blog about today. 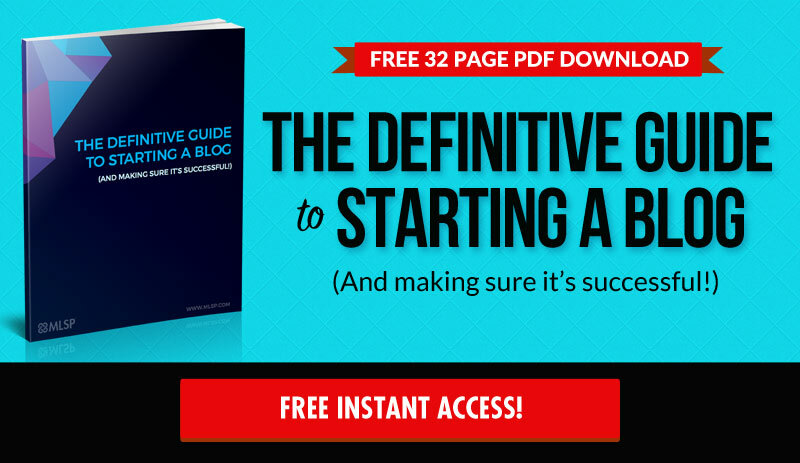 The simple steps in your post are an awesome way to overcome this issue. By the way another way to come up with an endless supply of potential blog post content is to use the clever little site called FAQFOX….google it and enjoy. It’s free as well. Thank you again Steven for sharing your valuable expertise. Thanks Krivda. Authenticity! Good stuff. I love this post! I really like what you wrote, “you are you and you are perfect.” This is so true. We are each unique and individual in what we have to offer. I love blogging because I am putting myself out there. And being an introvert, this is the easiest way for me to contribute my voice to the world! I am passionate about blogging and inspiring other people to be the best version of themselves that they can be!! Great post!! !